I really really dislike businesses who advertise falsely or who don’t keep their promises. After all, really, who does like companies who do business this way? So, as some of my readers know, I somewhat reluctantly signed up for “Your Karma” WiFi. The reason I say “somewhat reluctantly” is that “Your Karma” is pretty much the same thing as using free WiFi at any establishment that offers it. There is no security; i.e. there is no way to hide or change your SSID, (although “YourKarma” tries to make it sound like you can; you can’t). However, I thought I would sign up, be cautious, (use a VPN and only use in case of absolute necessity), due to the unlimited data promised. This was advertised as “Neverstop”, now known as “Not-there”. After sending off my $199.00 for the device and 1 month of unlimited data on November 7th, 2015, I waited the stated 2-3 weeks until it arrived. After it was delivered, I opened it up, but didn’t turn it on. I intended to keep it just in case I was out in the middle of nowhere and really needed an internet connection,–with the “unlimited data” comfort factor. My thought process was that if I was out in the middle of nowhere, the lack of security, (oh did I forget to mention that not only can you NOT hide your SSID, Karma openly invites everyone around you to jump on the Karma network), there wouldn’t be too many people waiting for an open invitation from my Karma WiFi. January 7th, 2016, I received the email below. 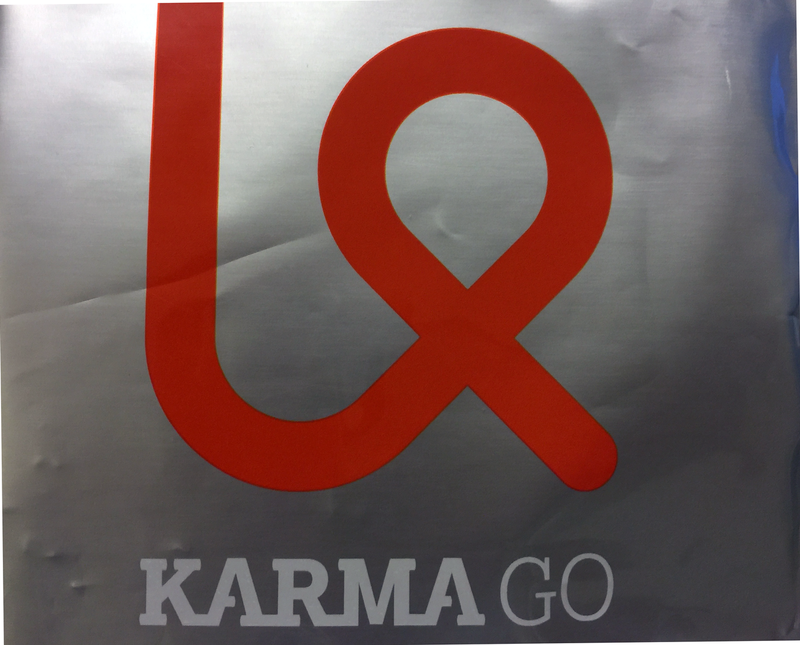 Had a feeling that “YourKarma” was going to pull a “SuddenStop” on their “Neverstop”. Still hadn’t turned my device on…… Note, this email was approximately 60 days after I had purchased “YourKarma” and their refund time window says within 45 days. It was no surprise when I received the email below, but it made me angry. Not only are they letting everyone know that “Neverstop” is “NoLonger” but they’re so glad that things are working out for them. It’s also a model that we can sustain. It’s called Pulse. Now, of course, the 45 day return window is waaaay past. Somehow, I feel conned. They conned me into signing up for their non-secure WiFi, which, although I wasn’t happy about it, at least I could somewhat rationalize; trade security for unlimited data. To date, I have not turned my “YourKarma” on as I haven’t had a reason to. What makes “YourKarma” special? Absolutely nothing, and worse yet, they are a “bait and switch” company. Somehow they found a way to incorporate their crappy karma into a post “winning the wifi game at SXSW. If you need/want 3G/4G data check out Virigin Mobile or if you’re an AT&T or Verizon subscriber, look into free WiFi spots. More importantly, remember that when you purchase through Virgin Mobile, AT&T, Verizon, etc., you actually get your own secure private wireless network. So, for the same data price, (the device prices are usually much less expensive than YourKarma’s), you get your own, (can you believe it?!? ), private wireless network and device that you can customize with your own security/privacy settings. This is a no-brainer. As of this posting, I have requested to return my “YourKarma”. I haven’t received a reply. Regardless of their response, I have an idea that “TheirKarma” is going to bite them in the arse. UPDATE: Response below from “YourKarma” re my return request. Yeah, “YourKarma”, I’ll stick with the refund. Thanks anyway.